Stubble burning is a norm among farmers in northern India. The practice includes intentional burning of the straw stubble remains of the crop after it is harvested. However, this activity was causing extreme pollution in the environment. In fact, in October 2018, stubble burning in Punjab was responsible for 32% of the pollution in Delhi, according to a report by the Centre-run system of Air Quality Forecasting and Research. Stubble burning has been banned since then in the states of Punjab, Haryana and Uttar Pradesh. The farmers of the region are still protesting, citing that the alternative to that is not as effective. However, amidst these protests, farmers from Meerut, UP have discovered a new and productive way of tackling the stubble. The Hindu has reported that in the last two years, more than 250 farmers from about 50 villages in western Uttar Pradesh have successfully prevented the release of 2,250,000 kg of carbon dioxide in the air by eliminating the stubble burning practice. These farmers are instead using an environment-friendly method to convert this leftover stubble into organic manure from sugarcane leaves and paddy waste. 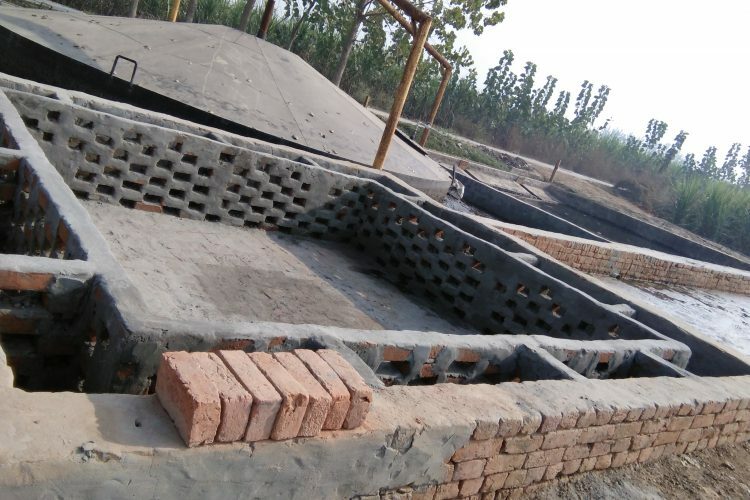 The unique compost pit called as the L-R or Lalit Raman Model, designed by Lalit Tyagi and Raman Kant, has an outer dimension of 8*8*1 meter and inner dimension of 7.1*2.1*1 meter. The pit is filled with a large amount of paddy waste, cow dung, sugarcane leaves, water and soil. In a period of two months can make a solid manure enough for an entire field. The pit also has a separate compartment to collect liquid manure which can be given to plants with irrigation water. This is more effective than spraying pesticides or insecticides. Cost of building this compost pit is of INR 25,000, which is considered as a one-time investment as the life expectancy of it is about 20-25 years. This initiative is recognized by the Ministry of Agriculture and Farmers welfare, Government of India (GOI), Indo Global Social Service Society (Germany), Ministry of Environment, Forest and Climate Change, GoI and United Nations Development Program, New Delhi.